Star Wars fans, and pop culture lovers of the loss of Carrie Fisher late last year and there have been many tributes. From awards shows to unique fan tributes, the world has shared its love for the late Princess Leia actress. 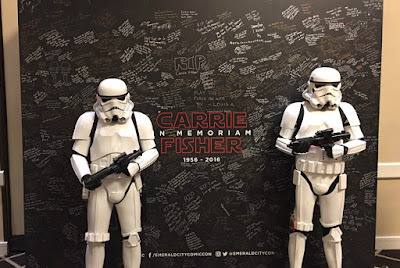 The latest touching tribute to Fisher took place at Emerald City Comic Con in Seattle, Washington this past weekend where organizers set up a massive chalkboard for fans to sign and share their love for Fisher. 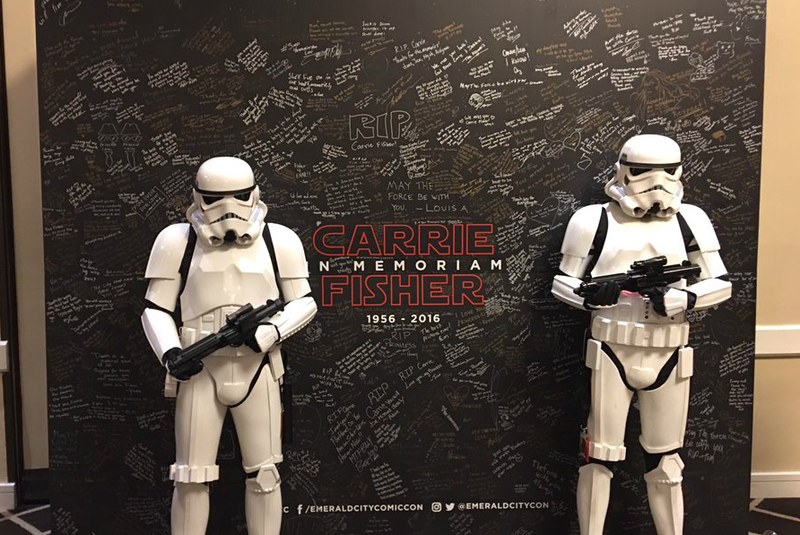 It seems safe to say this is just the first of many Carrie Fisher tributes we'll be seeing at conventions this year. The organizers and attendees of Emerald City Comic Con should be commended for such a touching tribute to our princess. You can find more thoughts on the passing of Carrie Fisher here and here.